In some parts of the U.S., onion maggots are without a doubt the most serious pest of plants in the onion family. They infest onions, leeks, shallots, garlicand chives. 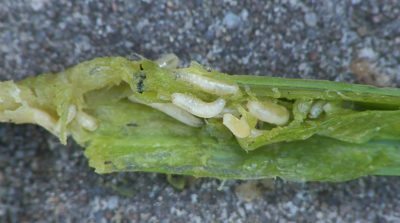 Find out about the identification and control of onion maggots in this article. 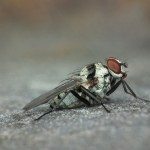 Onion maggots are the larval form of a little gray fly that looks a lot like a common housefly except that it is only one-fourth inch long. The small, cream-colored maggots infest the bulbs, riddling them with tunnels. The damage leaves the bulbs susceptible to invasion by bacteria. The maggots have about three generations each year. The first generation is the largest and causes the most damage. The last generation attacks just before harvest. This generation leaves the bulbs susceptible to rot during storage. The parents of onion maggots, which are small, gray flies, are hard to distinguish from any other fly. The females lay their eggs in the soil where onions grow in order to get their offspring off to a good start in life. When they hatch, the maggots feed on the underground onion bulbs for about three weeks before they leave the bulb and move out to the soil where they pupate. They later emerge as adults that begin the process all over again. Onion maggot damage includes a poor rate of germination and survival in young plants. Older plants may have limp, yellow leaves. The bulbs may show signs of soft rot while they are still in the ground, but they sometimes don’t begin to rot until after harvest. Crop rotation is one of the most important aspects of onion maggot control. The maggots feed only on members of the onion family. If newly hatched maggots don’t find a food source, they won’t survive. 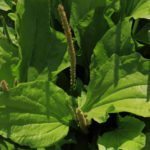 When you thin your plants, remove and destroy the culls, which also serve as a food source. You should also completely remove any crop debris remaining at the end of the year. 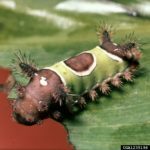 The insects like to pupate and overwinter in areas with large pieces of organic matter. 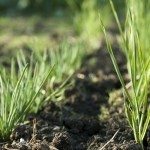 To avoid providing them with a comfortable hiding place, make sure all compost is completely decomposed before adding it to areas where you are growing onions. For the most part, insecticides available to home gardeners are ineffective. Contact insecticides never reach the maggots, which are hidden away inside the bulbs. The insects have developed resistance to systemic insecticides.